Monster Hunter 4, the game that's whipping up a frenzy in Japan, is an elusive beast. Despite going to the effort of releasing Monster Hunter 3 Ultimate in the West on Wii U and 3DS, and despite the franchise being a Capcom IP that's surely one big release away from 'breaking' the West, it remains tantalisingly out of reach. We're certainly fans of the franchise — well, some of the team are — here at Nintendo Life, and as we have a Japanese 3DS that can capture footage there was only one logical thing to do: record ourselves clumsily playing the game. We say clumsily, as we have no idea what any of the text says, so we're going on information we can find online and instinct, which is an interesting experience in the Monster Hunter world. We'll bring you a number of videos for the game in the coming weeks, mainly to show off particularly cool monsters that we stumble across. For now we have the first 30 minutes, taking in the opening cinematic, the creation of our goofy "NL Dude" character, an epic opening battle and some barbecuing. Check it out below and mourn the lack of a Western release date in the comments below. How dare you tease me with this!! This had better be in my system in less then 8 months!! Can't wait to put my hands on this game! I don't care if the release date is three years away; I just want confirmation that it's coming! I know someone who's supposedly getting it,I hope he lets me play it. I love how you can customise your cat companion. This game looks phenomenal. It's possible they will localize it as long as sales are what they want/need. I will be watching this in a bit. And hoping for a western release date like everyone else! Huge Monster Hunter fan! I love how the trumpet/bassline during the character creator is the same as the one in Stand by Me. @Mommar Ha! I just noticed that. When recording I couldn't actually hear the sound, as the capture device was hogging it via the headphone socket. Awesome! @zionich Unfortunately not, so future vids may have me fumbling around a lot. I'll try and practice stuff before recording, to give a semblance of an idea that I know what I'm doing. I know the series well, so hope I'll be able to instinctively figure it out. I just picked up Monster Hunter 3 on 3ds when it was on sale for 20$. I tried the demo and wasn't too convinced but thought for 20$ why not give it a shot. I'd never played any Monster Hunter before. I gotta say I'm loving it!! best 20$ I've ever spent on a game. Even regular price this game is well worth it with so much to do. I wonder if the eshop sales are to generate interest in Monster Hunter 4. Can't wait for it!! 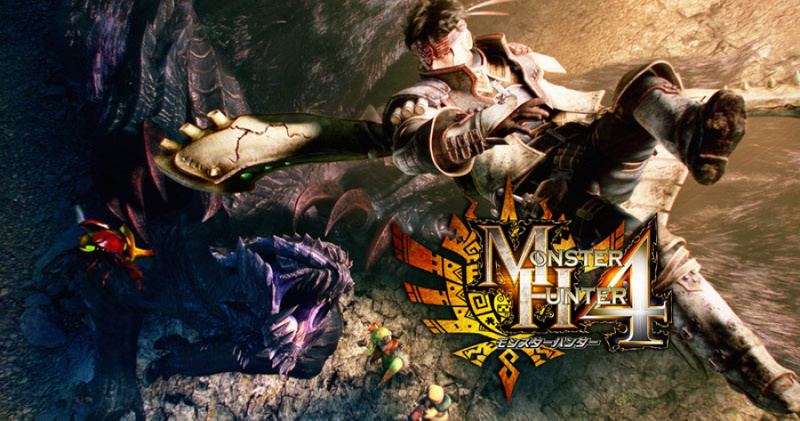 Will probably buy this, but it would be my first MH game. @Jellitoe . I've seen it played in japan. It looks completely lush! You are watching a scaled up video soit won't look so good on s larger screen. . .
Thats what has stopped me from importing it. The good thing about monster hunter is kill the same monster enough times, you'll eventually get all ya need lol. Thanks for this and future vidoes, fumbling or not. It has pirate boats in the game?! Awesome thanks for posting. I'm wondering how fast I can learn Japanese. @FishieFish Hunter boats. They all are part of the hunters guild who work to defend human civilization against monsters like that(doran mohran?) and others. Why would you kill those innocent dinosaurs? It's a hunter-gatherer game. Your job is to hunt monsters for the village, and use the meat to cook, the hide for armor and weapons, etc. It's the way the village survives, and nothing goes to waste. It's the way of the world- we are carnivores. And tribal humans are the best kind of carnivores, because they use their kills to the fullest potential- clothing, food, weapons, etc. Ok Here's my money. Runs very nice. This needs to come out of Japan Now!! !